Begin your week with a deep, powerful and dynamic kundalini practice which includes mantra, pranayama, kriya, and mediation. Kundalini Yoga brings simple techniques to relieve stress and connect with their inner self. The practice is a complete science of the human body, which combines breath, dynamic postures, sound current, and meditation to balance the nervous system and reset the body’s natural flow of energy. 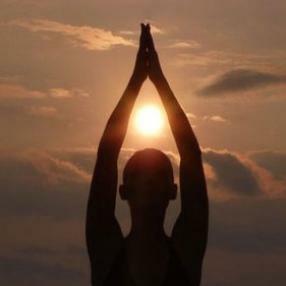 Emphasis is placed on maintaining awareness in any situation or environment, not just in yoga class! Each practitioner’s experience will be unique and will have the capacity to bring an overall state of well-being and peace. Class will consist of a full yoga set (or “kriya”), relaxation, and a meditation. Yoga for Every Body is a class that combines precise postural alignment, mindful movement, and deep relaxation. Each class includes gentle stretching and strengthening exercises, and restorative postures. Students with chronic pain, fatigue, or those in recovery from injury will benefit from strengthening deep stabilizing muscles, and stretching areas of tightness. Beginners and seasoned yoga practitioners will enjoy sensory awareness through movement, while fine-tuning alignment and breath by exploring the subtle. Chairs and props will be used to modify postures for Every Body. This is a vinyasa flow set to music and immersed in heat. Vinyasa yoga cultivates heat in the body, especially when practiced in a heated room. Room is heated to approx 90-95 degrees for this physical practice, so it is not recommended for those who are just beginning their yoga practice. Building strength, flexibility, balance, and endurance. Class is suitable for beginners and intermediate students who prefer to move at a slower pace, with focus and emphasis on form and alignment of the poses. A flowing vinyasa sequence practiced in a heated room (approx 95-100 degrees).